New to the Union line-up this 2019 season is the Union Strata Binding. The Strata is developed to be the next generation of product progression with an "industry first" Fused Vaporlite Bushing System. Fused Vaporlite is more waterproof, durable and precise than any EVA material on the market today. This new material makes for an extremely versatile binding that performs at high end riding for those steel sliders going big in the parks, the pipe dudes sending huge airs over the deck and of course, your powder guys who need a surf like and responsive feel in the bottomless pits of the backcountry. With an all-new Strata Highback, Forma ankle straps and Ultragrip X toe straps the Strata challenges you to take this binding to the limits and then some. With big name Union Pros like Torstein Horgmo and Bryan Iguchi backing this binding you know, it means some business no matter where you take it. 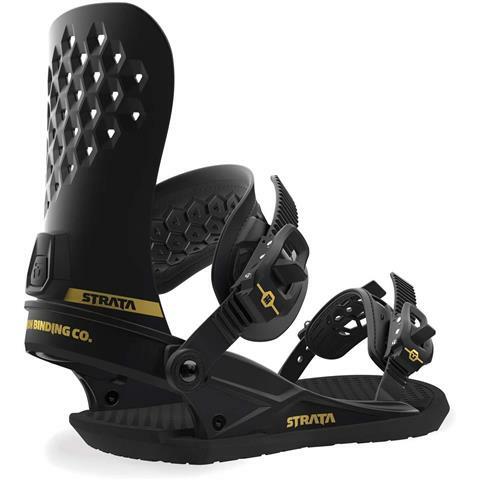 Still being backed is the lifetime warranty on the baseplates of these bindings make these a nearly unbeatable binding on the market today and we suggest you pick a pair of quick because they will sell fast. 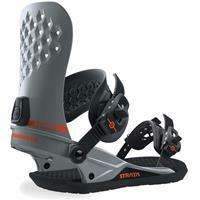 Great mid-flex all mountain binding new to the Union lineup!